Peaceful Mind Peaceful Life is dedicated to furthering inner peace and wellness by educating and inspiring individuals and creating community through mindfulness practices, online resources, and programs. A practitioner of mindfulness and meditation for over 30 years, Barb Schmidt is the author of the internationally bestselling book The Practice: Simple Tools for Managing Stress, Finding Inner Peace, and Uncovering Happiness. Over the years, she has been on over 100 retreats and studied with teachers around the world from Deepak Chopra to the Dalai Lama. In 2011, she founded the non-profit organization Peaceful Mind Peaceful Life. Her mission was to bring mindfulness teachings to the community in the belief that outer peace begins through inner peace. She has taught meditation courses at Nova Southeastern University, and currently she offers classes and workshops at Florida Atlantic University as part of the Peace, Justice & Human Rights Initiative. 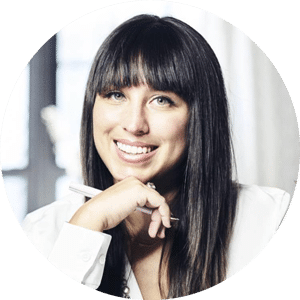 Currently she has programs teaching mindfulness in local childhood development centers, high schools, universities, college athletic programs, and transitional programs for young adults with autism. In 2015, Barb gave a TEDx talk, “Is this seat taken? The power of sitting with yourself” — watch it below! Michelle is Peaceful Mind Peaceful Life’s Editor-in-Chief and Creative Director. She has a degree in Journalism from Indiana University and is also a certified holistic health coach through the Institute for Integrative Nutrition and registered yoga teacher with trainings with Anuttara Yoga Shala and Strala Yoga. Michelle has a deep desire to help people find happiness in all areas of their lives, and truly believes the Peaceful Mind Peaceful Life movement will bring lasting change to the world. Michelle splits her time between Florida and New York City and loves connecting with people from all over the world. Educational and Outreach programs are designed to spread the mission and motive of Peaceful Mind Peaceful Life in a major way. Rooted in the belief that outer peace stems from inner peace, each program is designed to target the desired demographic and provide tools and support in achieving peace, confidence, and strength in mind, body, and spirit. Peace, Justice, and Human Rights at Florida Atlantic University: Peaceful Mind Peaceful Life founder Barb Schmidt has been in partnership with the Peace Studies department since 2006. This program brings together students, faculty, and community members to explore pathways to peace and the processes of peace building. 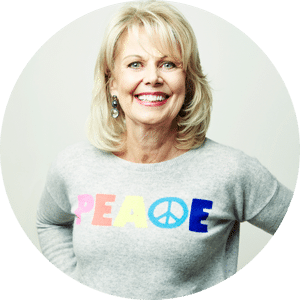 Through the Peace Studies program, Peaceful Mind Peaceful Life presents workshops and events that feature spiritual leaders, best-selling authors, and prominent peacemakers. The Practice for High School Students: In partnership with South Florida high schools, Barb Schmidt and Peaceful Mind Peaceful Life taught high school students the benefits of stillness, mindfulness, being present, and finding a sense of self-love, self-confidence, and self-worth. The Practice for Children: Through work with local child development centers, Peaceful Mind Peaceful Life brings mindfulness, stillness, and movement to young children. Zen Sports: Established in 2015, to cultivate leadership, gain focus, and provide stress relief for athletes through a simple 3-step approach that takes less than 10 minutes a day. Athletes, coaches, and trainers have a practical guide to a calmer, focused, more present existence that promotes positive change from the inside out. Meditation Programs: For nearly 20 years, founder Barb Schmidt has led weekly meditation classes that include inspirational reading, contemplation, and mindfulness.